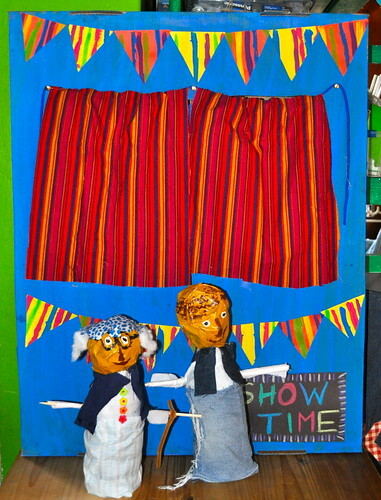 So puppets were on of the things we had on our winter list, and we made a heap of puppets for Expresso, the Breakfast Show. 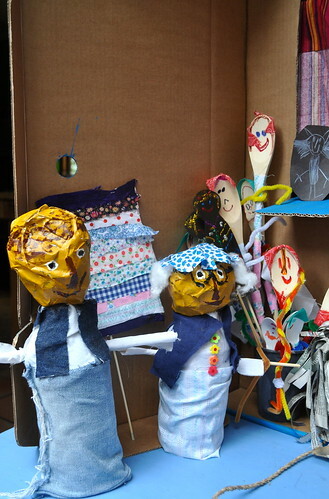 I thought the passion for puppets would die down, but not a bit of it!!! 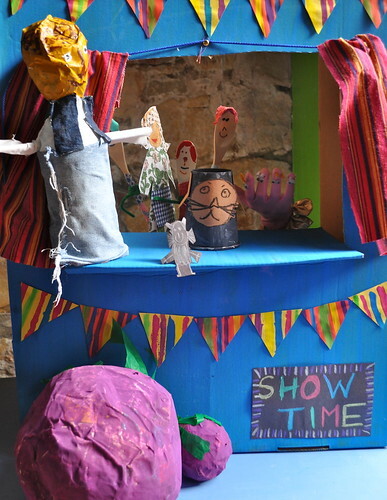 This is a bit of a recap on all our puppet posts and how with a few extra props you can tell a myriad of Fairy Tales. 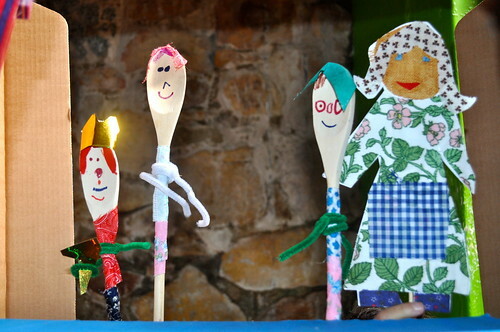 Some spoon people puppets, with spoons, no less. The Enormous Turnip: We just needed to make a small turnip when we made the farmers head, with a small balloon… and a large turnip with a large balloon, and our story could be told. And made sure that our rat had lots of teeth and could be called a wolf as well. 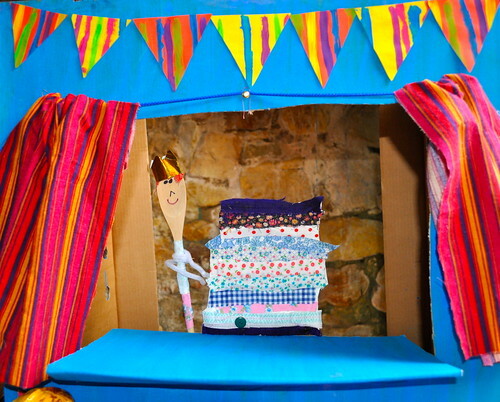 The Princess and the Pea: We added a crown to on of one of our spoon people for a princess and made her bed from fabric scraps and cardboard. 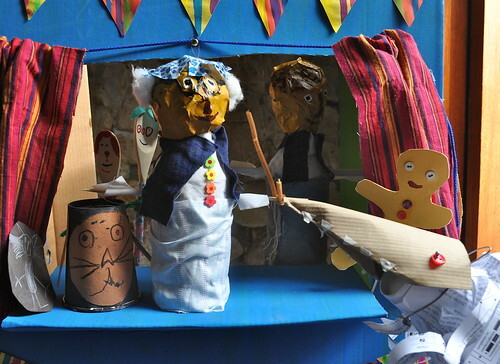 Red Riding Hood: Popped a red cloak around a spoon person and turned a farmer into a granny, just added some glasses and a hat!!! Cinderella: We began with a cinderella and her ugly sisters. Rapunzel: Well some golden hair from pipe-cleaners did the trick. 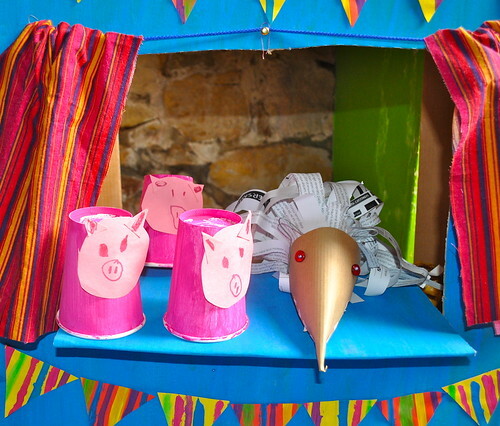 The Three Little Pigs: Three little pigs and that big bad wolf. 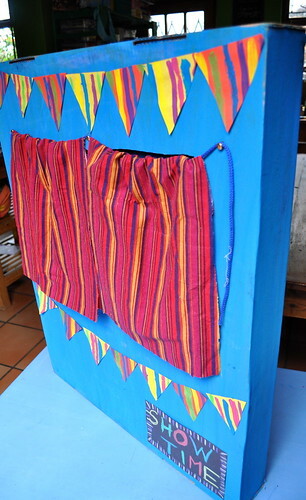 And all the puppets can fit inside it, except the enormous turnip and that’s because it is enormous!!! Hay Maggy… So glad to link up!!! 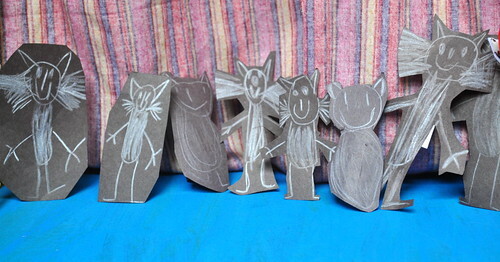 I had a preschool teacher that made everything with toilet rolls and has left me quite, um, well I just can’t craft with them!!! Just totally too much of a good thing!!! 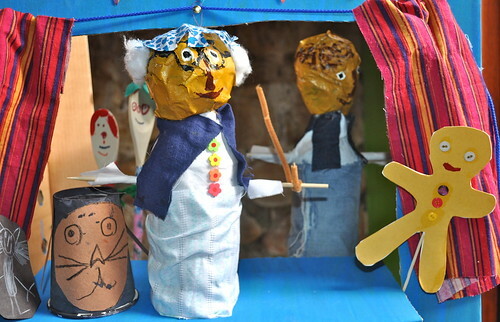 No toilet roll crafts on our blog yet – though from time to time we are tempted!!! Have a fabulous day!!! wow, so truly inspiring, I really don’t know how you manage to do so many amazing projects! 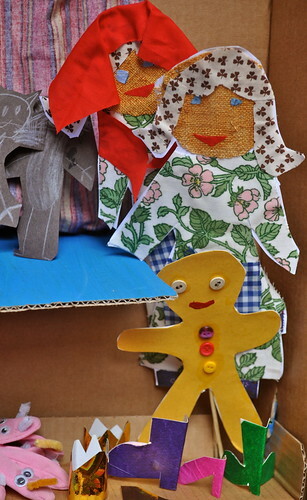 love all the extra props and the variety of puppets, thanks so much for sharing on Craft Schooling Sunday! 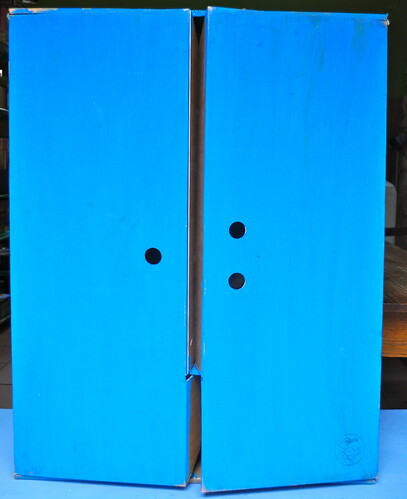 Hi Sara… Just so glad I had a new craft timeously for your fabulous link party!!! Oh. My. Goodness! This is absolutely STUNNING! 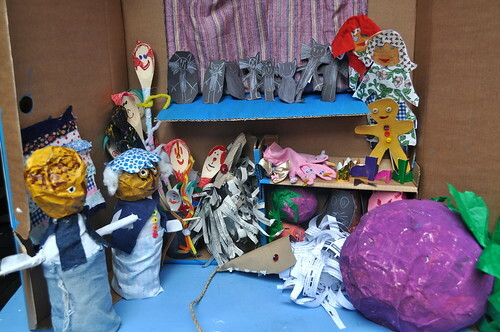 I am totally in love with your wide range of puppets, fabulously clever open-out theatre and amazingly creative children! Thanks for linking this to 5-a-day books. I am going to share this with my Facebook page too! Hope you will be back to share more book inspired ideas today! 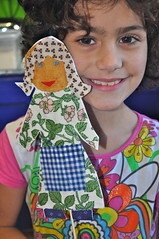 Anna, So glad you enjoyed our puppets!!! We would love to join your link up when we have relevant posts!!! Have a great day!!! 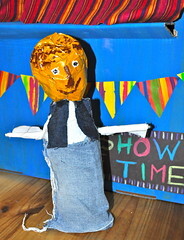 I have featured you on my favourites on our It’s Playtime linky tomorrow as I’ve chosen a puppet theme. Please come along and link up any other fabulous ideas you may have to that too. 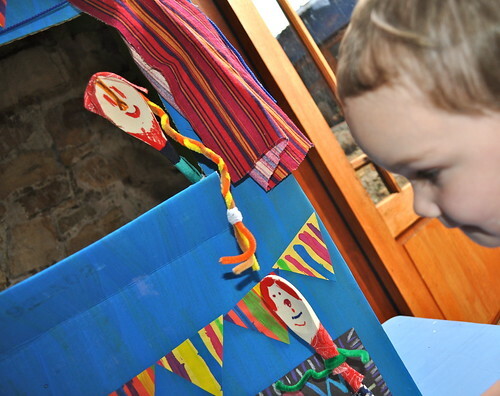 It’s our regular Thursday linky for all things play related! Anna, I am so thrilled that is so kind of you. 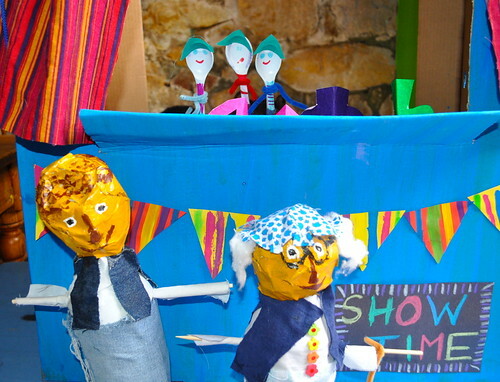 You won’t believe it but we just made some puppets and posted them as this weeks craft!!! So I would love to link up tomorrow!!! Have a good day!!! 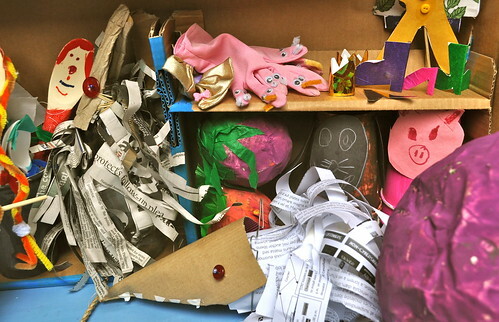 Amazing and gorgeous – I love the theatre/storage cabinet and all those characters! 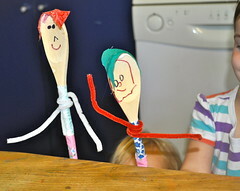 The fabulous spoons with their expressive arms might be my favourite… and the rat! 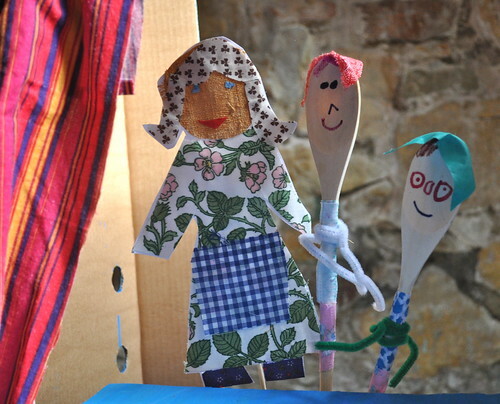 I’m SO inspired to make some puppets now. I don’t think my kids will take much convincing! 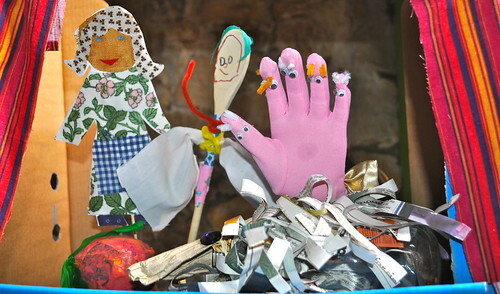 Hi Sarah, I am so glad you enjoyed our puppet fun. 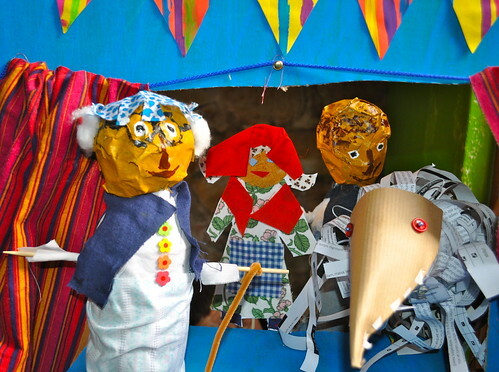 Once we got started we couldn’t stop ourselves and we made puppets for months this past winter!!! Hope you enjoy creating!! !